VIP Membership is issued to donating subscribers. The award winning Fimark's Family Reunion Planner Social web app at http://family-reunion-planner.fimark.net. Family Reunion services include an international family reunion announcement database updated daily. The Family Reunion Planner database now includes over 6000 members. A Family reunion newsletter with an audience outreach of over 40,000 readers. Submission to Googles organic search listings. The database extends to AOL, MSN, Yahoo, Dogpile and other top 20 search engines allowing users to find missing relatives, family reunion events. 2006 - Added 25 event organizer templates and worksheets, Added Reunion Keepsake Memory Booklet Maker, Software on CDROM, Added five themed family reunion planners. 2007 - Added reunion committee activities sheet, T-shirt Designer, Ezine article distribution, added tell a friend" and text to cell phone feature, real time editing and sharing features. Added selection of 15 new family reunion flyers. Added Chairperson Welcome letter, survey and event program templates. 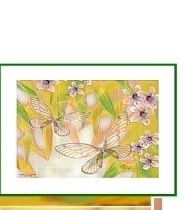 2008 - Added 15 new stationary and background art add-ons for correspondence and booklet maker. The Legendary Heritage Art Gallery located at http://art-gallery.fimark.net. Promotes artists whose work inspire cultural recognition, family unity and exceptional artistry. Look for new seasonal works of art in our inspirational and motivational fine art galleries. The Fimark Genealogy Research Tool Kit at http://genealogy.fimark.net. Fimark's Family Reunion T-shirt Designer at http://family-reunion-t-shirts.fimark.net, This resources allows family reunion planners to design, order and organize the major task of family reunion t-shirt dispersement. Fimark's Party Planner at http://party-planner.fimark.net. Provides over 50 themed party planners. The Black History resources at http://black-history.fimark.net. Family members learn history and follow interactive teaching tools. how recent DNA technology can help you trace your ancestors beyond the past 200 years. Relive a memorable and touching reunion by many of today's most popular television, movie and literature personalities. Your generous donations also help fund further Legendary Heritage Heirlooms product and services development as well as upcoming projects including the family oriented online story book. A project aimed at encouraging productive family and community interaction and social skills development among urban youth ages 5-13 years of age. The website Mural-Land Interactive Storybooks will feature all of Mark Askews manuscripts brought to life for all to enjoy. including the Humming Seeds, Chester Peabody Bears Great Adventures, Robby The Reckless Rhino and many more. Your support helps preserve the traditional values that strengthens the bonds of our most valued and basic institution, the family. We thank you in advance for your donations. What we have done thus far would not have been possible without your support. Our Fund Raising Goal For 2015. $350,000. Proceeds will help continue to promote the above services as well as development of the Mural-Land interactive Storybook website and commence publication of all storybooks. Proceeds will also make possible major web resource and product enhancements. Add additional content and interactive tools to the Black History, Genealogy and Family Reunion Planning resources. Complete programming work. Update tools compatibility to Windows Vista platform standards. Add additional backend database format features. Commence national 2008 Family Reunion Planning Week and Month campaigns. All Donations of $200 or more entitles you to complete access to the Legendary Heritage Art Gallery, a complete gallery catalog on CD-ROM and the gift of your choice below. Please highlight and copy the gift and associated donation below and add it to the "comments" sections of the proceeding form. Genealogy Research Assistant. Aides families and individuals in lineage research and documentation. Plan your next party with this party planning organizer complete with timeline checklist, tips and menu and decor tips. Plan and organize a great family reunion with this complete planning tool. Includes planning timeline checklist, tips, invitations, flyers, booklet maker, trip and tour planner, budget calculation tool and much more and all CDROM Software titles. Please Enter The Follow Into The Box Below.